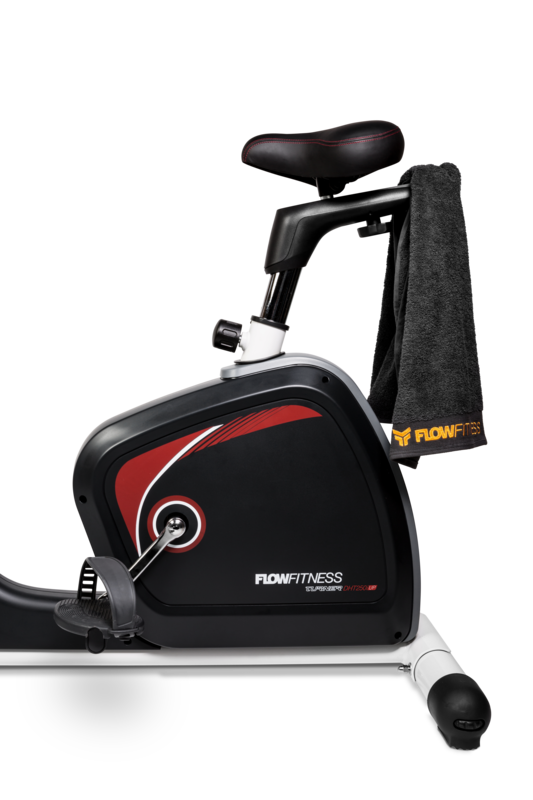 Discover the novel way to workout with the DHT250i UP exercise bike iConsole by Flow Fitness and experience the outdoors indoors. 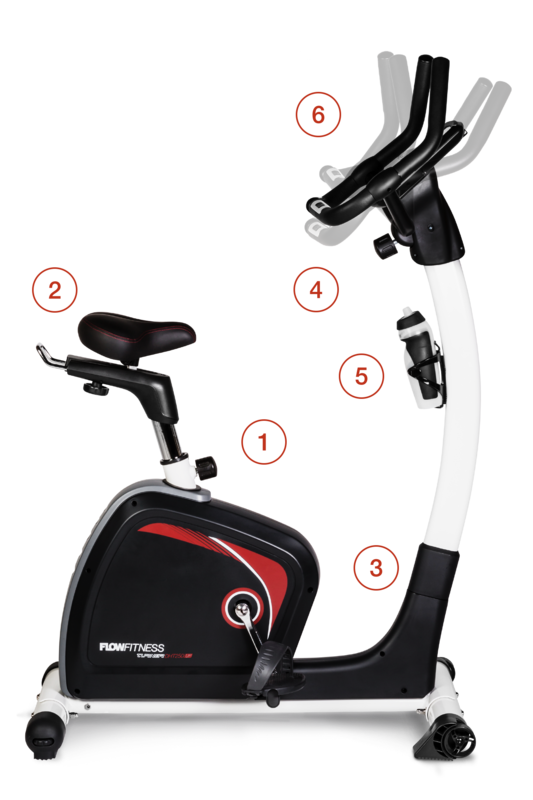 An ideal combination of two worlds: a high-quality exercise bike and the unlimited options of your smartphone or tablet. The frame, with a 10-year warranty, is a strong steel structure that can endure intensive use. 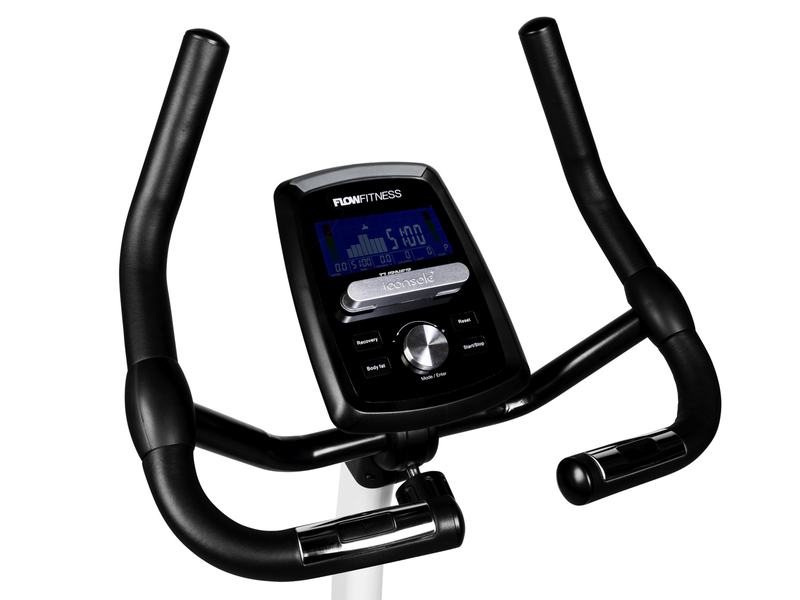 It is therefore an ideal bike for people who want to train regularly with the purpose of losing weight and/or improving their stamina. The console includes 24 different programs. 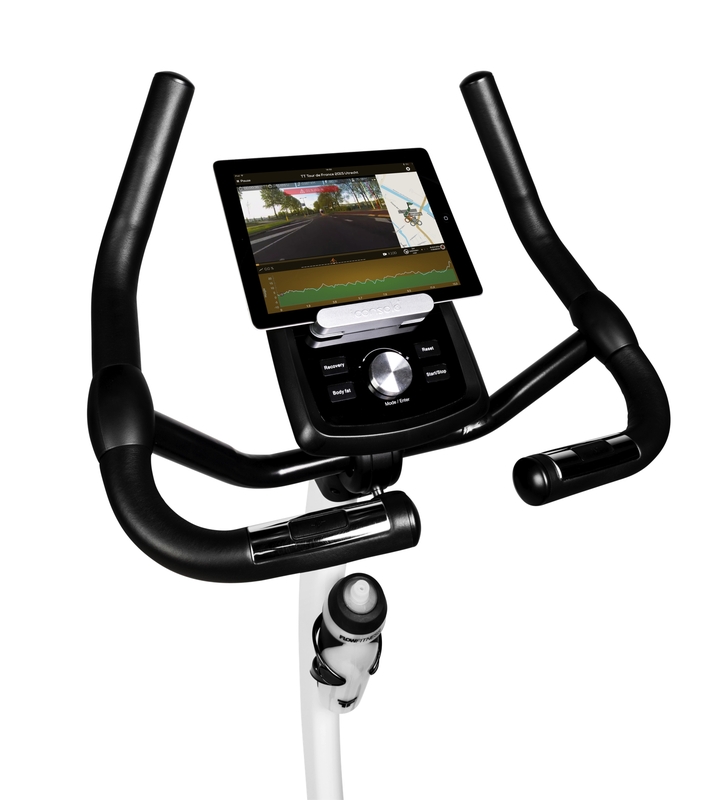 You can choose from 3 heart-rate controlled, 12 pre-programmed, and 4 individually programmable workout programs. Because there is ample space between the covers and the handle bar post, you can easily pass your leg through when getting on and off. Comfortable, but also essential for rehabilitation after a leg or hip injury. The multifunctional handlebar tilts and can be held in many different ways. This makes every position possible. An active horizontal position or a comfortable straight posture are equally possible. You can achieve the perfect workout with ultimate comfort. The DHT250i UP offers optimal seating comfort. Due to the tilting handlebar, you can work out in your favourite cycling position. Because of the low entry, you do not need to lift your leg unnecessarily high when getting on and off. Ideal if you are troubled by a leg or hip injury. With Bluetooth, you can pair the DHT250i UP with your smartphone and tablet. The mobile device becomes your console, and you can freely use apps such as Kinomap, Fit Hi Way, iConsole+ and iRoute.